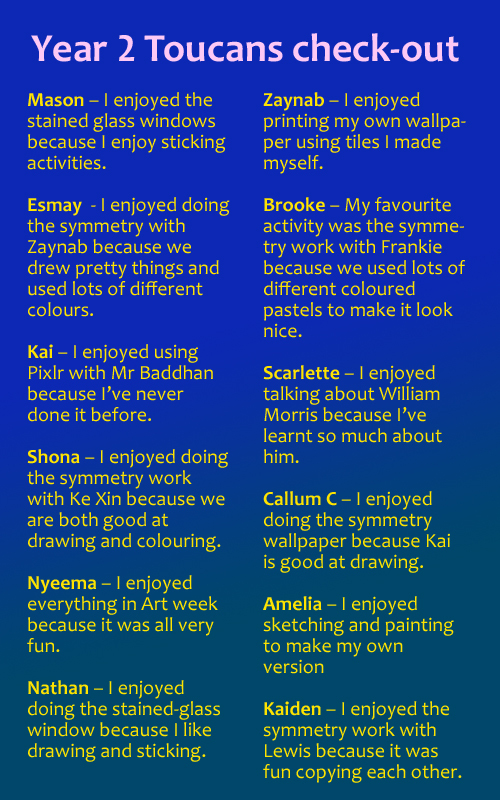 Today for check-out we discussed all the wonderful pieces of work we have done during Arts Week. We discussed all the pieces we have created and all the different techniques we have used. We chose our favourite to share with our friends.